Memory Productions, LLC, a New Mexico limited liability company (“B3 Media Team”), takes the privacy of our visitors and the security of their Personal Information very seriously. We provide this Privacy and Security Policy (“Policy”) because you have the right to know what Personal Information we collect, how it is protected and used and the circumstances under which it may be disclosed. (2) by letter to us at Memory Productions, LLC, Attn: Privacy Department, 12404 Appalachian Way NE, Albuquerque, New Mexico 87111, making sure to include your name and mailing address or telephone number so that we can contact you. This Policy applies only to websites operated by B3 Media Team (collectively, “Site”). This Policy does not apply to affiliated entities of B3 Media Team or to third parties. B3 Media Team only collects Personal Information that you voluntarily submit through our Site. “Personal Information” includes information such as your name, street and e-mail addresses, and telephone number(s). We use this information to respond to your query, to keep track of customer feedback, and to improve our service to customers. (2) by letter to us at Memory Productions, LLC, Attn: Privacy Department, 12404 Appalachian Way NE, Albuquerque, New Mexico 87111 making sure to include your name and mailing address or telephone number so that we can contact you. (3) by letter to us at Memory Productions, LLC, Attn: Privacy Department, 12404 Appalachian Way NE, Albuquerque, New Mexico 87111 making sure to include your name and mailing address or telephone number so that we can contact you. To improve your visit to our site(s), we may use “cookies” to obtain non-Personal Information (cookies are text information files that your browser places on your computer when you visit a website). We also automatically receive your computer’s internet protocol (IP) address and browser “User Agent” string in order to provide Us with information that helps Us learn about your browser and operating system. Even if you do not make an inquiry or purchase on our site, We have the ability to track usage of our website, including what pages are visited, what products are viewed, and the third-party sites that led you to our site. This information is not used to track information about individuals, but is used at an aggregate level to customize our site, improve the online experience, and plan advertising and promotions. B3 Media Team will not use or share your Personal Information in ways unrelated to the uses described above unless we provide you with prior notice and give you an opportunity to change your usage preferences. Unless you give us prior consent or make a specific request, B3 Media Team will not trade, sell, or share your Personal Information with any person or entity other than appropriate authorized individuals within B3 Media Team and its subsidiaries, affiliates and representatives, unless required by law or as disclosed to you before the information is collected. To modify your Personal Information, contact us at info@shutterboothabq.com. We will make every effort to respond to your requests in a timely manner. If you have already submitted Personal Information to B3 Media Team or given permission for Personal Information to be submitted, posted, uploaded, or published, you may opt-out of B3 Media Team’s future use of that information by sending a specific email request to info@shutterboothabq.com. Upon receiving and verifying your request to the best of our ability, we will delete your Personal Information from our records. There are known methods that spammers can use to hide their identity by using other people’s email address to send out emails. 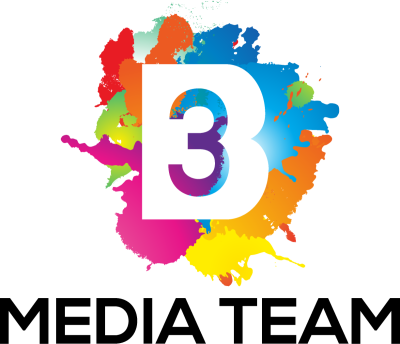 If you have any question about the genuineness of an email you receive that appears to be from B3 Media Team, contact us at info@shutterboothabq.com and do not furnish Personal Information in response to the email. The security of your Personal Information is very important to us. We use technical and managerial procedures appropriate to protect your Personal Information and prevent its disclosure outside B3 Media Team and those service professionals with whom we do business. Only those authorized by B3 Media Team or you will be granted access to your Personal Information. The Federal Trade Commission has established rules for website operators to make sure that children’s privacy is protected while they’re online. These rules, which went into effect on April 21, 2000, are part of the 1998 Children’s Online Privacy Protection Act (“COPPA”) and B3 Media Team operates its Site in compliance with COPPA. For more detailed information on COPPA, please visit: http://www.ftc.gov/privacy/privacyinitiatives/childrens.html. B3 Media Team may modify or amend this Policy from time to time. Please check back regularly for updates. We provide links to affiliated entities and on occasion to other sites we think you may enjoy. These sites operate independently of B3 Media Team and have established their own privacy and security policies. For the best online experience, we encourage you to review these policies before submitting any Personal Information through these sites. B3 Media Team is operated in New Mexico, United States. Please be aware that any information you provide to us will be transferred to New Mexico, United States. By using this Site and/or providing us with your Personal Information through this Site, you consent to this transfer. Our current Privacy and Security Policy was last updated June 13, 2018.